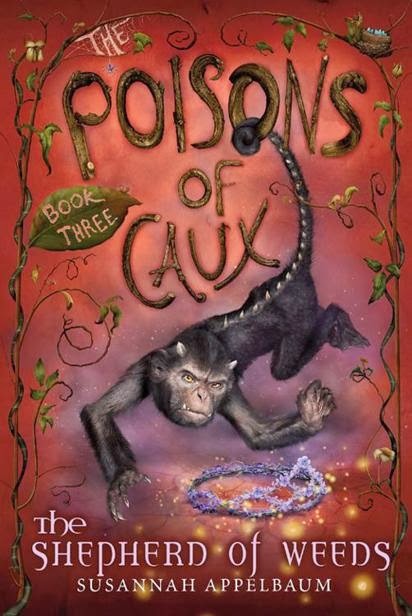 Susannah Appelbaum is the author of the delightfully witty and macabre fantasy trilogy The Poisons of Caux. The idea for the series sprang from her childhood years in France, where living in a cottage surrounded by ancient forests, wild animals, and strange new foods sparked her imagination. When she was still very young, she ate an appealing flower in her aunt’s garden and consequently went to the hospital. 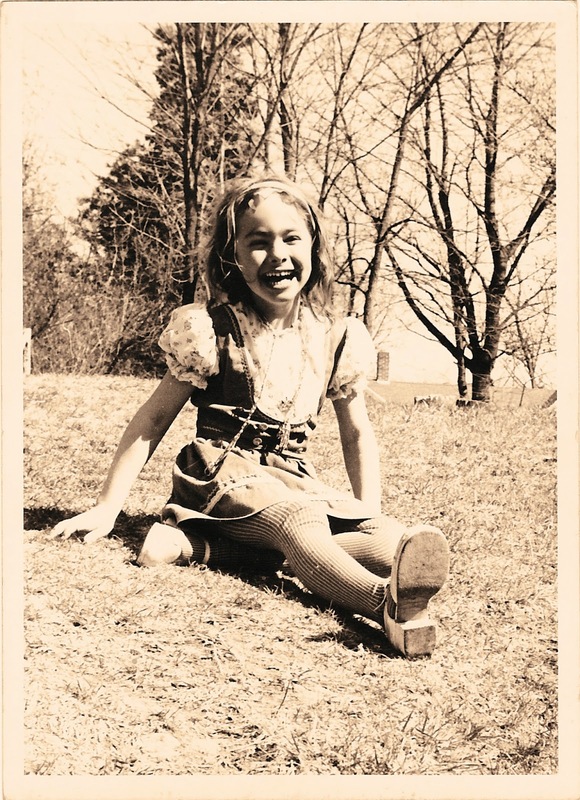 From this early experience, she developed an obsession to discover the hidden secrets of plants. 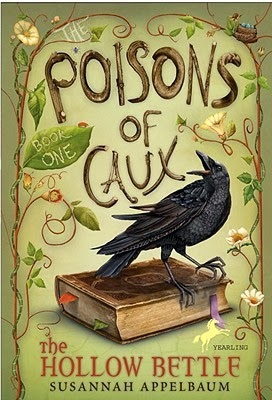 The first book in The Poisons of Caux trilogy from Knopf is The Hollow Bettle, the second is The Tasters Guild, and the third and last is The Shepherd of Weeds. The novels spin vividly imagined and somewhat dark adventures in botany with stories about poisons, tasters, and a battle over the ancient knowledge of nature. CBW: You grew up in a family of doctors, which gave you an early fascination with bottles marked "Poison." What is your secret to using something that normally wards people off, like poison, as a way to attract readers? SA: There is nothing more secretive than poison! It is by nature something to be kept up your sleeve, or in your hollow ring. And reading (and writing!) about other people’s secrets is always entertaining. The books I read as a child tended to be full of mystery and poison, so it was only natural (and deadly!) I return to these intriguing subjects. CBW: All three books feature a girl named Ivy Manx. What is your secret to creating a compelling character and developing her story in a different world, like Caux? SA: When I create a world, I begin with a character; in Caux, it was Poison Ivy. I sit and think about who Ivy is, how she thinks, and what her interests are. Then (very simply) I try to kill her. Generally, it is a rule of thumb as a writer, you must do bad things to the characters you create. The broader world of Caux, and all its dangers and pitfalls, falls into place around the characters I create. CBW: What is your secret to writing longer fiction for middle grade readers? 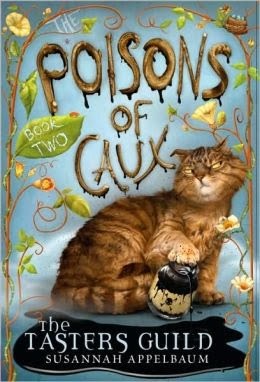 SA: The three books in The Poisons of Caux trilogy are hopefully just as long as they need to be to tell an entertaining story. My secret for writing—no matter what length—is a quiet space with a good window looking out on something in nature (in my case, trees and a variety of birds). Perhaps it is no accident that nature (plants and birds—both evil and good) takes center stage in my work. CBW: Is there any secret to collaborating with different illustrators as you have in this series? SA: I adore books with illustrations, and wish more books—especially adult books—came with them. That said, there is no secret collaboration between author and illustrator. Normally in the publishing process an author is paired with an illustrator by the publisher of the book—and you get what you get, and you don’t get upset. In the case of Caux, I was thrilled with the artwork. The book covers especially! CBW: As a sneak preview for our readers, can you share with us any secrets about upcoming projects? 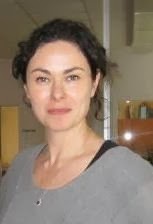 SA: I have finished a YA book on demon hunting in both modern-day Manhattan and historical France, called Diavah, and I’m currently working on a new MG series about dragons. Wonderful interview, Chris! I'm adding these to my to-read pile now. Thanks, Jean. This is one of those series where you want to return its world again and again. Good thing it's a trilogy! I love this interview. I am working on a middle grade book now. I love when she said, "she tries to kill her character!" That is the best part in books, I think. I love when the character is in danger and you picture how they will get out of it. Thanks for sharing this interview. It is appreciated. Thanks, Jackie. I found Susannah's answers very fun and interesting, also. It's sad but so true, but to create that dramatic tension, bad stuff has to happen to those characters! Nice to learn all these secrets! I like her advice that "you must do bad things to the characters that you create." Also, gorgeous workspace! I think that would be the hardest part of being an author. I would want to write my characters having perfect happiness. How boring! I agree, Wendy. Susannah's workspace looks really nice and seems to double as a dance studio, also! I'm glad that you included a picture of her workspace. I enjoy seeing where authors/artists do their work. I find the spaces inspiring. I love what she says about trying to kill her characters! That conflict is key to good fiction. I will have to get this series for my 6 year old! Her writing desk is awesome. Great interview. Thanks for the kind words from the anonymous international person of mystery and for the support for Susannah's work! It's good to get the word out about her. The Kingdom of Caux is someplace special.